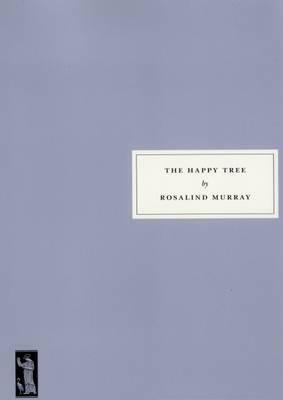 Rosalind Murray’s The Happy Tree, the 108th book on the Persephone list, was first published in 1926. This beautiful novel has so many themes delicately threaded through its plot – family, politics, wartime, love, friendship, jealousy and, perhaps most importantly for its protagonist, the notion and hardships of growing up. The storyline of The Happy Tree alone sounds like a perfect pick for the lovely Persephone list. Our protagonist is Helen Woodruffe, a grown woman who is looking back on her life and the choices which she has made: ‘And this is all that has happened. It does not seem very much. It does not seem worth writing about. I was happy when I was a child, and I married the wrong person, and some one I loved dearly was killed in the war… that was all. And all those things must be true of thousands of people’. In her childhood, she tells us in the novel’s opening chapter, she divided her time between her grandmother’s London house and her cousins’ home, a country estate named Yearsly: ‘There, sometimes under a special “Happy Tree”, she passes an idyllic childhood with Guy and Hugo Laurier’, hopelessly falling for the latter. Of her cousins, Helen tells us, ‘they were and are to me all I could wish for anyone to be, and I cannot wish anything at all different about them’. The opening of The Happy Tree draws one in immediately, and sets the tone for the rest of the novel: ‘Once I would have minded it so much, to live here, looking out at that laburnum tree, and that house opposite, that bow window, and the yellowish stone facings of the windows, and the lilac bush that has grown all crooked, and the pink hawthorn, and the laurels with patterned leaves; but now I do not mind. Now I do not see these things or think about them at all; only tonight I am seeing them, because somehow I have come awake tonight, for a bit’. The sense of place within the novel comes together marvellously through Murray’s carefully tuned descriptions. Helen is the most wonderful narrator, and Murray is very aware of her as a distinct being, and of her persona, thoughts and feelings: ‘And my life up to now comes before me very clearly; the people and the places, and the choices and mistakes, and I seem to see it all in better proportion than before; less clouded and blurred across by the violent emotion of youth’. She is very candid throughout, and lets us in to her secrets, as it were. Of her mother’s seeming lack of care – one may even go as far as to say neglect – which allowed her to go and live with Cousin Delia, the mother of Guy and Hugo, after her father’s death, she says: ‘If she had kept me with her I don’t know what would have happened. I don’t know how I could have grown up at all’. The well-considered introduction to The Happy Tree has been penned by Charlotte Mitchell. She writes of the way in which the novel resembles ‘many of her [Murray’s] other writings, fiction and non-fiction, in examining the world she was brought up in and the choices it had offered a woman like herself’. She goes on to say that: ‘with all the usual caveats about treating fiction as autobiography, it is evident that the novel depicts Rosalind’s own situation pretty closely’. The Happy Tree is a marvellous novel, filled with fluid characters, beautiful writing, and such consideration for every scene.